When it comes to credit, who is winning the battle between men and women? The latest credit trends study, released today from global information services company Experian, compares the financial differences between men and women, revealing that, overall, women are better at managing their money and debt. Some of the most compelling differences in the study were found in the mortgage category. On average, 72 percent of consumers have joint mortgages (a home loan given to more than one party) and the remaining number represents men and women who borrowed on an individual/independent basis. The data reveals that throughout the United States, men have 18.3 percent more independent mortgages than women, with one exception: Women in Washington, D.C., take out 33 percent more loans than men. 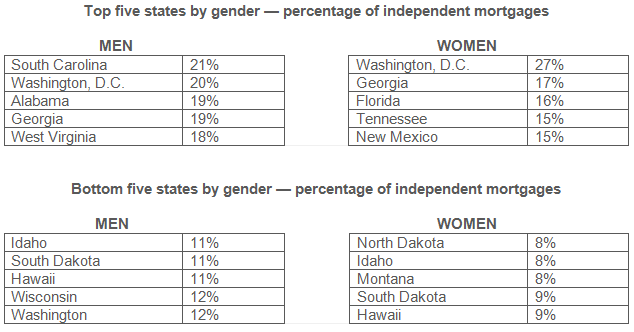 See below for a closer look at the states with most and least independent mortgages by gender. With men having more individual mortgages and higher loan amounts when compared with women, where are the most interesting trends when it comes to their loans and financial health? The most significant difference at the state level is in Connecticut, where the average man has a mortgage loan of $229,510 and the average for women is $175,276, creating a gap of 24 percent between them. Men in Connecticut also have late payments 13.6 percent more often than women, carry an average debt that is 8.6 percent higher and have a 5.6 percent higher utilization amount than women. Florida stands out in the study, as the men and women in the Sunshine State both have some financial strain, but women still maintain a better financial picture on average. West Palm Beach, Fla. — Men have 24 percent higher mortgage amounts than women, and their occurrences of late payments on them are 17.5 percent higher than women. Miami, Fla. — Both sexes are struggling to pay their mortgages on time, with men’s occurrences of late payments at 13.1 percent and women’s at 12.7 percent, with a difference of only 2.8 percent between the two. The women in Miami, though, have a 6.9 percent lower average debt than men, which indicates they are approaching their debts better. More details from the analysis — including an infographic and statistics for more than 100 U.S. cities and states — are available at Experian’s LiveCreditSmart.com. Experian is sponsoring a TweetChat with @Wisebread on May 23 at 3 p.m. Eastern time focused on the credit differences between men and women. Register at wisebread.com and follow #wbchat. 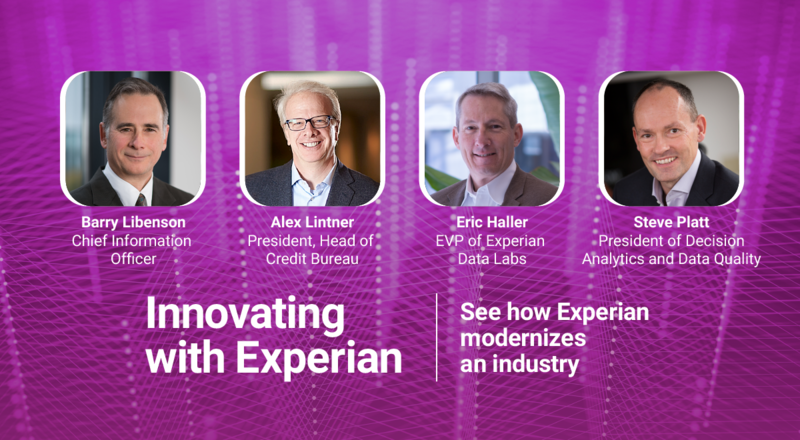 Experian hosts a #CreditChat on Twitter every Wednesday at 3 p.m. Eastern time with consumer credit experts Maxine Sweet and Rod Griffin. 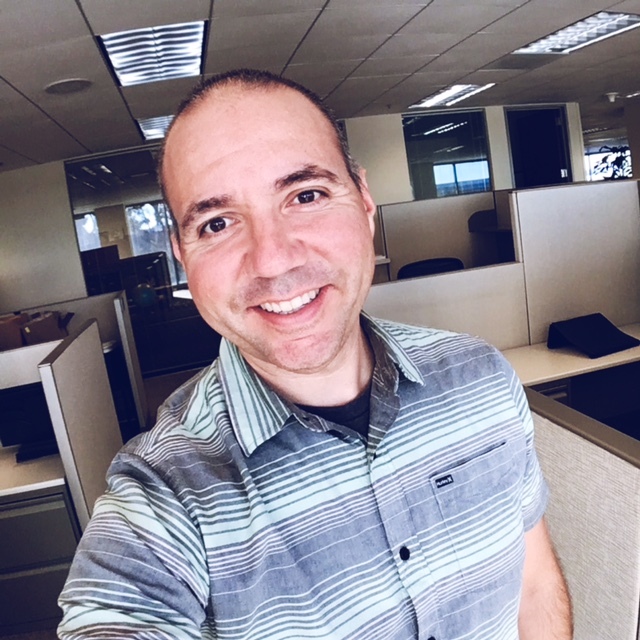 Follow @Experian_US to join in. The analysis is based on a statistically relevant, sampling of depersonalized data of Experian’s consumer credit database from December 2012. Gender information was obtained from Experian Marketing Services.